Brandon & Anita take Gold! 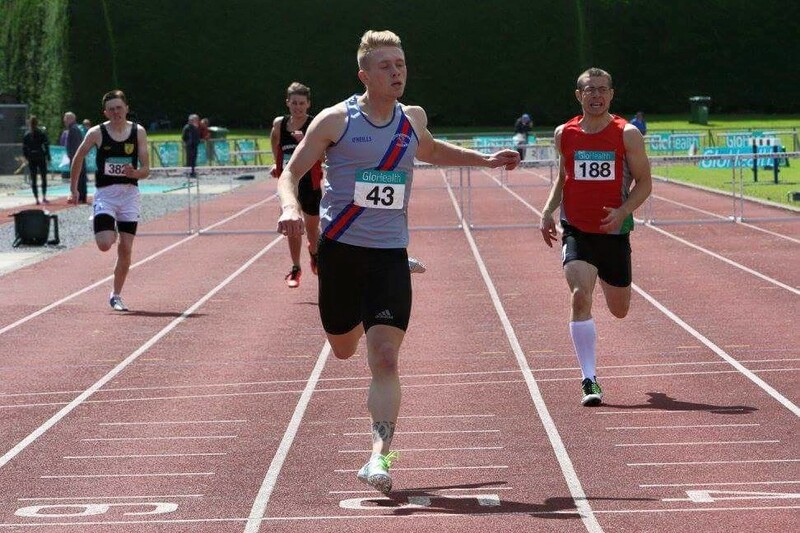 At the GloHealth AAI National Track & Field Championship in Santry on Saturday, 23 year old Brandon Hargreaves had a magnificent victory for his first National 10,000m title. Three athletes broke away from the rest of the field, Brandon, Mick Clohissy and Mark Christie. A terrific battle ensued over the last two laps with Brandon and Mark breaking away, and when Mark Christie made his move over the final 300m he looked a likely winner, but Brandon was not to be denied as he surged to the line over the final 50m. 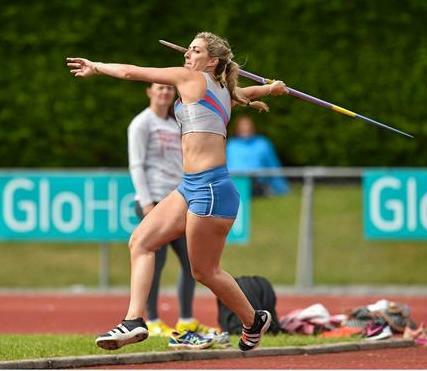 Anita White retained her national title in the Javelin with a great throw of 47.89 in very windy conditions. The Javelin was blown off course on numerous occasions, but Anita, full of her usual determination, was not deterred as she produced the winning throw. Emmet Jennings produced his usual gutsy performance in the 3,000m S/Chase finishing in 3rd place in 9.13.52. PB's for Sinead and Siofra! 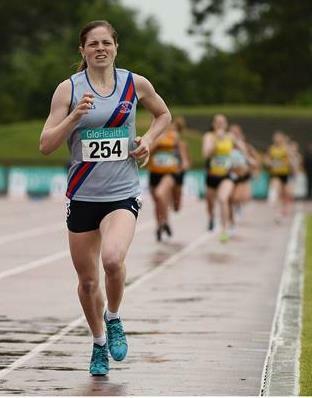 Sinead Denny was in top form in Gainesville (USA) on Friday as she moved closer to obtaining a qualifying time for the up-coming European Championships, when she recorded a 53.86 400m. Sinead’s decision to travel to America to race looks like it’s paying off, with ideal weather conditions for her event. As this was her first outdoor race of the season it is hoped there will be more improvement to come. 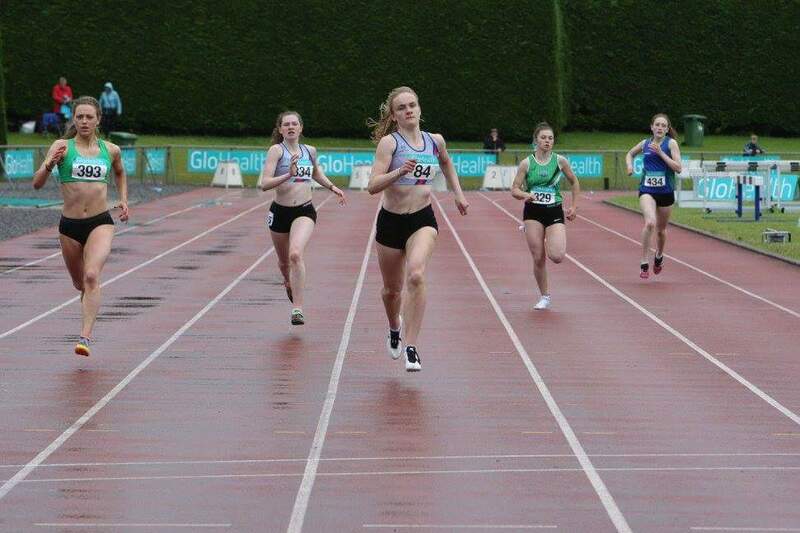 Siofra Cleirigh Buttner also continues to improve as she also recorded a PB of 2.03.52 last week. Again the outdoor season has just begun in the collegiate scene, so there’s plenty of time for more improvement. Best of luck to both girls who have put in a lot of hard work to achieve these times.